Stay Cool, TRI, Stay Cool! What’s that overhead? Is it a bird? Is it a plane? Nope – it’s a roof! That thing that keeps our buildings protected from rain, snow, wind, and sunlight. 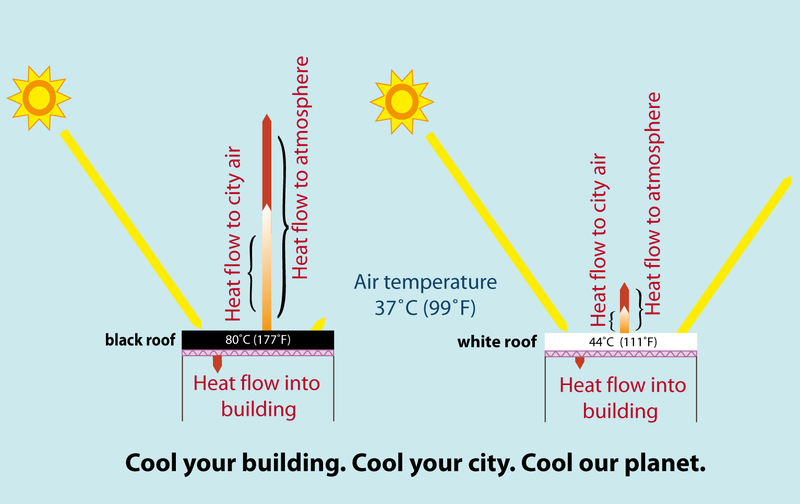 If you are in UHN’s Bickle or Rumsey Centre, you are under a cool roof! Roofs are a key component of the building envelope consisting of structural members, insulation, a water-proofing mechanism, and some method of affixing the roof to the building. 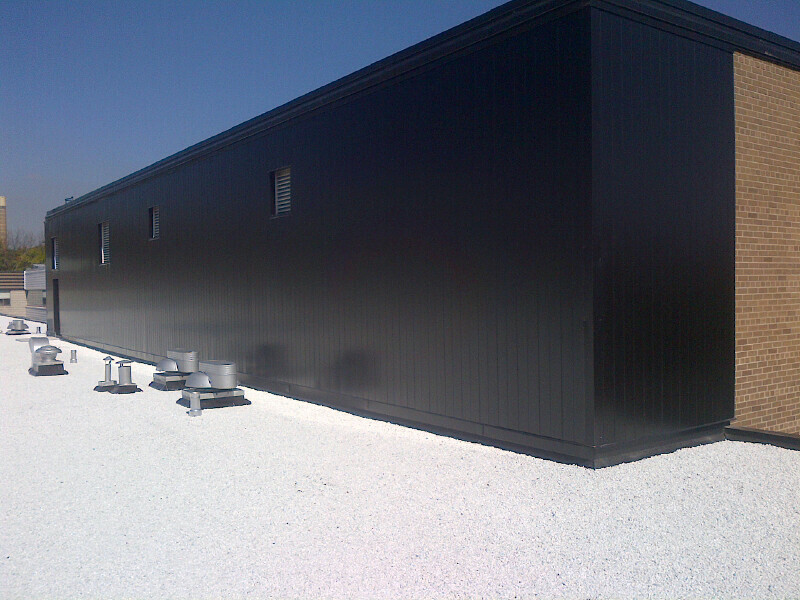 Typically, commercial buildings have used built-up roofing systems or bituminous/rubber membranes consisting of dark materials that absorb sunlight. Many systems are also ballasted (i.e. 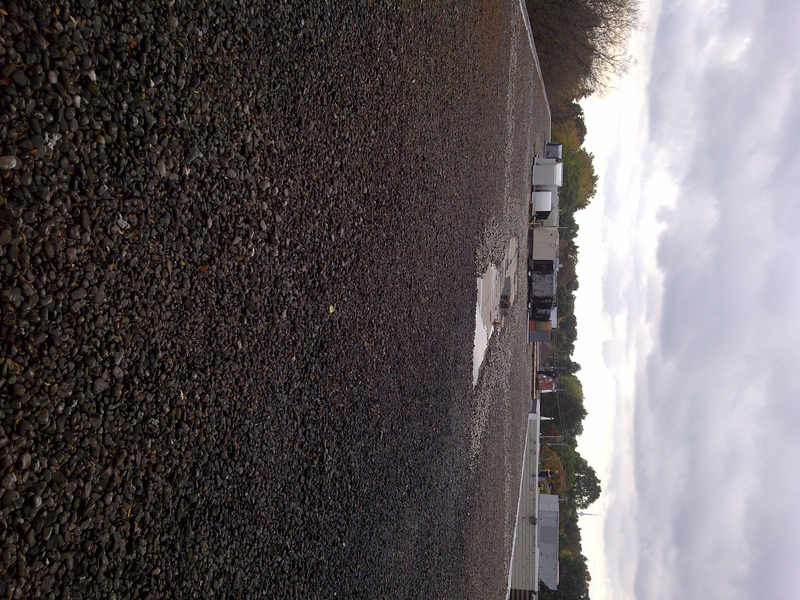 held down on the roof) with gravel stones of various shades of grey. Over the last year UHN’s infrastructure department replaced two roofs at our Bickle Centre and our Rumsey Centre and chose to go with white roofs as an energy savings measure. White roofs are also known as cool roofs or eco-roofs. Now I know what you might be thinking – wait a minute, it gets really cold in Canada! Won’t this increase our heating bills?? There are several reasons why the heating penalty is not as large as it seems. Now that we have had a quick background on the benefits of white roofs, let’s take a look at the projects at Bickle and Rumsey. As seen in the pictures below, there are many air intakes that are directly adjacent to the roof. With the new white roof, we will see lower air intake temperatures during the hot summer months. UHN worked closely with the City of Toronto on the two projects through the Eco-Roof Incentive Program and received rebates totaling $45,590. 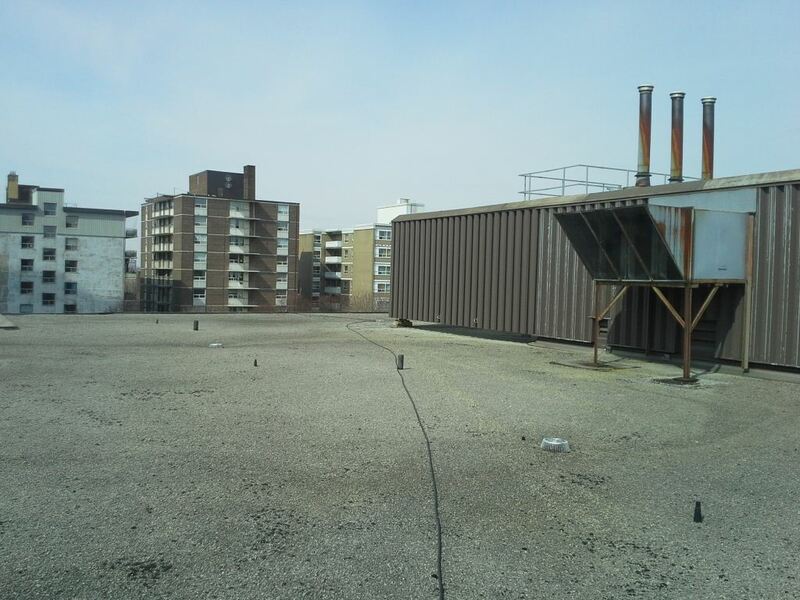 The projects are expected to save UHN a relatively modest $5,000 in cooling costs annually, but it is important to note that, with the help of the rebates, the white roof option came at no extra cost to UHN. We are also contributing to the reduction in local heat island effect and decreasing the global warming impact of our buildings. I would like to thank the project managers Regina Rahmilov and Franz Thompson for supporting the implementation of white roofs on these two projects. This entry was posted in Beyond Talkin' Trash, Energy Stories (powerful stuff) and tagged cool roof, energy conservation. Bookmark the permalink.